Porto, the Northern Portuguese city we all love and appreciate is in urgent need of donors and volunteers in many areas including housing and healthcare. 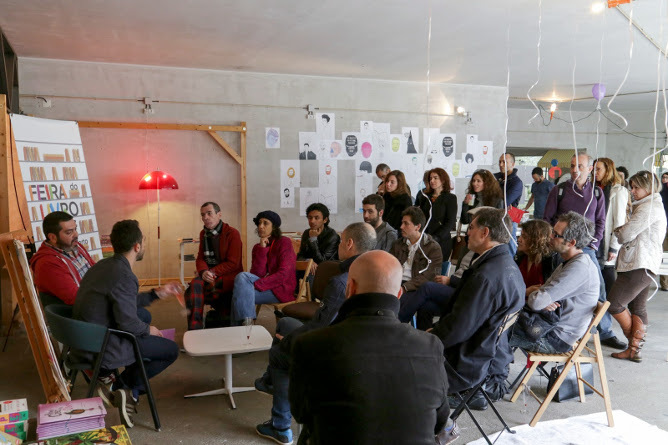 If you’re a permanent or a temporary resident in Porto, we encourage you to volunteer because it will help you to get to know the community and at the same time, give back. 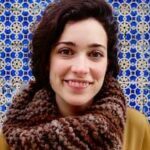 Volunteering in Porto is also an excellent way to make friendships with other fellow volunteers who are passionate about the same causes as you are. Please bear in mind that due to the nature of volunteering – which will get you in contact with a lot of people in need, from homeless people to teenage mums – in most organizations and NGO’s it is required at least a basic ability to properly speak Portuguese. But if you don’t have the time or your Portuguese skills s**k, making a donation, signing up as a supportive member or donate the 0.5% of your personal tax return will suffice. So let’s talk important non-profit organizations and what we can do to help. 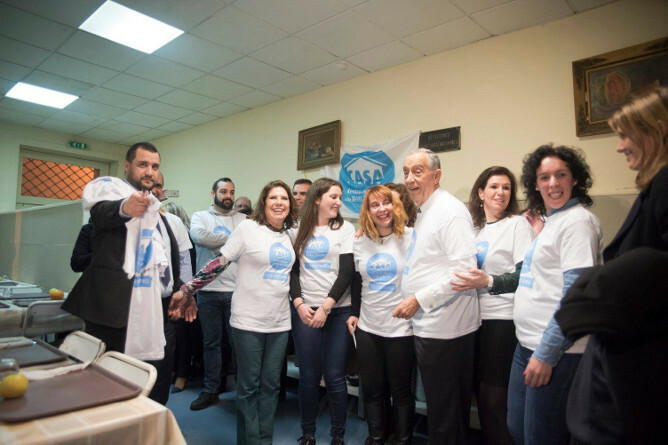 CASA is an international NGO that aims to provide support, food and shelter for homeless people including children, the elderly, victims of domestic violence and social abandonment in general. 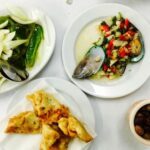 Currently, CASA Porto delegation serves 200 dinners per night in a solidary restaurant “a meal center” in the city centre. The meal center provides food to 100-150 homeless people on a weekly basis. 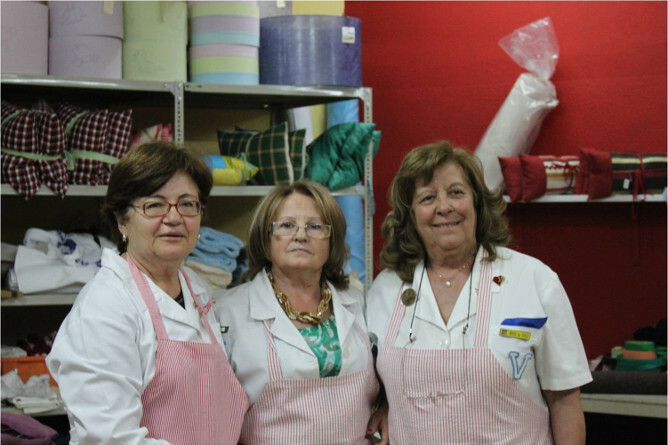 CASA also distributes food baskets to around 100 families in Porto, specially to elderly people. 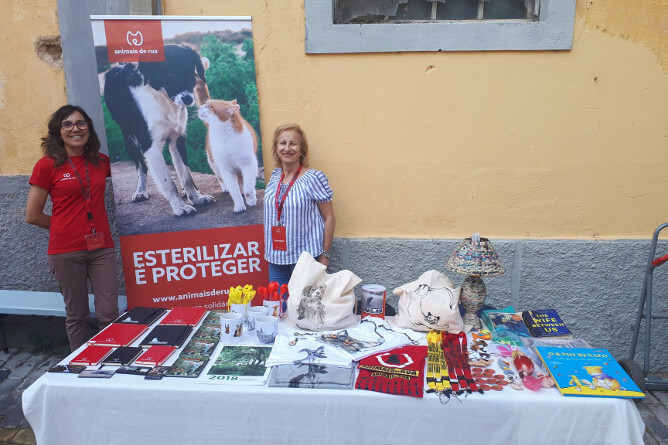 CASA also works with the animal association Animais de Rua to give support to the pets of the homeless people in Porto. How can you contribute to CASA? You can make private monetary donations through its website. Companies are also encouraged to donate as they will receive tax benefits. 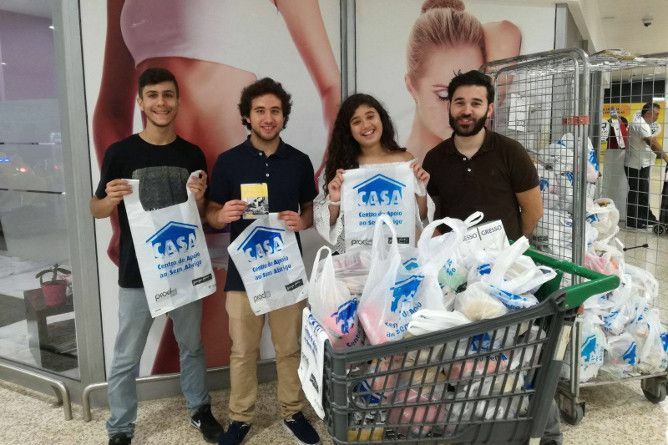 Another essential way to help is to contribute to CASA’s supermarket food collection campaigns which are held 2-3 times a year, over the weekends. 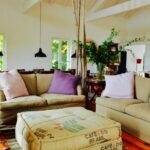 How to volunteer at CASA? You can volunteer once a week by joining one of its teams and start working at 7:30pm every day or on Saturday mornings. The teams either deliver food in night rounds or simply help at the meal center. The best way to get in touch with CASA for volunteering is through its Facebook page. Anyone above 18 years old is welcome to volunteer, and anyone younger than that can participate in supermarket food collections. In Portugal, people throw away 1 million metric tons of food and 17% of food goes to the trash without even reaching the consumers. That’s why Re-food (a non-profit social support organization) takes excess food and delivers it to those in need in our communities. 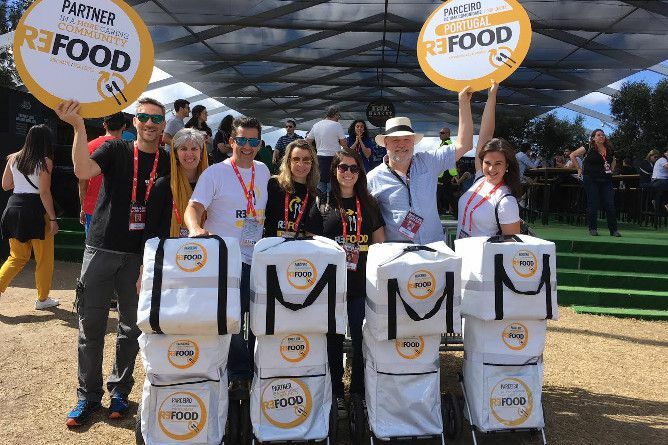 Re-food was founded by Hunter Halder, who started picking excess food from 30 restaurants in Lisbon and delivering it to 50 people in need. In 2016, Re-food was recovering more than 46,000 meals a month from more than 900 partners and serving 2,500 people 5-6 times a week nationwide. 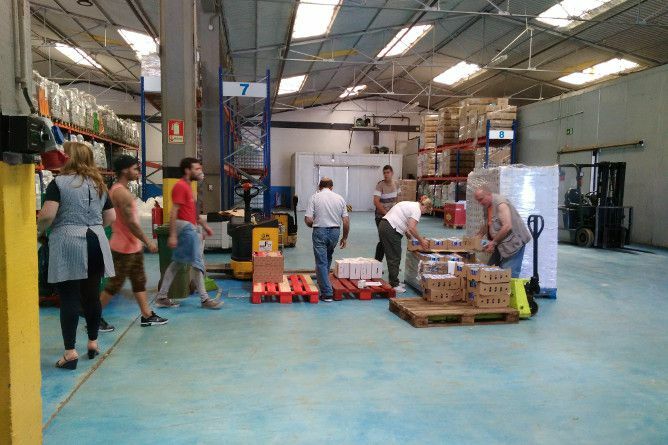 In Northern Portugal, Re-food has operation centers in Foz do Douro, Maia-Centro, Ermesinde, Senhora da Hora, Leça da Palmeira and Gaia-Centro. How can you contribute to Re-food? If you own a restaurant or a supermarket, or if your company had a big buffet and not everything was consumed, contact Re-food here to give away the excess. Re-food provides food containers and arrives at the right time to ensure zero cost and maximum food collection, thus minimizing the impact on its partners. How to volunteer at Re-food? Collection: Volunteer teams travel daily to collect food from Re-food’s partners at the end of the day. Packing: Other teams of volunteers meet at each Operations Center to distribute the collected food in packages. Distribution: Volunteer teams deliver packages to families that same night. Most of Re-food’s beneficiaries go straight to its designated Operation Center. But there are also some distribution points across the city. Finally, a smaller number of people – who have mobility issues – receive the food packages directly at their homes. Two hours a week is all that is needed from your time. Contact Re-food here to figure out the closest location you can volunteer at. Banco Alimentar Contra a Fome in Porto started in 1994 as a small institution. 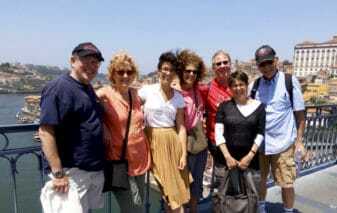 It expanded over the years to become one of the most important social support organizations in Porto. Their goal is to help other social and non-private organizations by providing them with food to be distributed among local communities. Banco Alimentar is responsible for collecting food from partners and sorting it in packs according to each organization’s requirements. Then the organizations themselves will deliver the packages to hundreds of families in Northern Portugal. 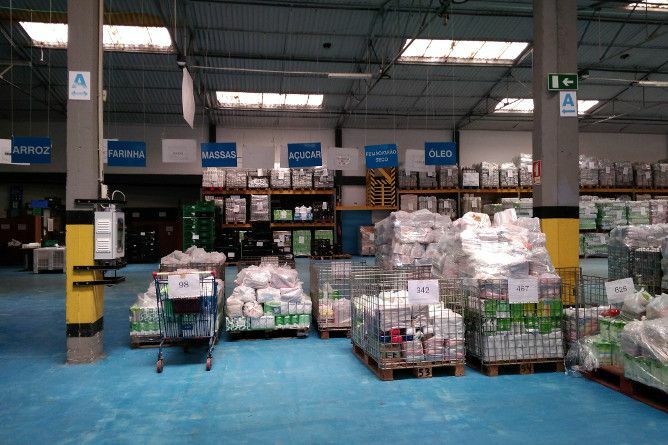 The best known Banco Alimentar Contra a Fome’s social initiative is the supermarket collections that take place twice an year. In its last supermarket collection, this NGO was able to collect 246 metric tons of products with the help of 3,400 volunteers. Those products were distributed to over 400 organizations which gave them to 69,000 people in need. How can you contribute to Banco Alimentar Contra a Fome? Even though Banco Alimentar Contra a Fome has regular partners, the need still exceeds the supply as many organizations wait in line for help. Not only does this NGO lack the space in its warehouse, but it also lacks the means to deliver to more organizations. Therefore, food companies in particular are encouraged to contribute to this cause. Regular folks can also participate in Banco Alimentar Contra a Fome’s supermarket collections by giving any food and/or products including canned goods and packaged items. How to volunteer at Banco Alimentar Contra a Fome? At the moment, Banco Alimentar Contra a Fome in Porto has an average of 30 permanent volunteers. 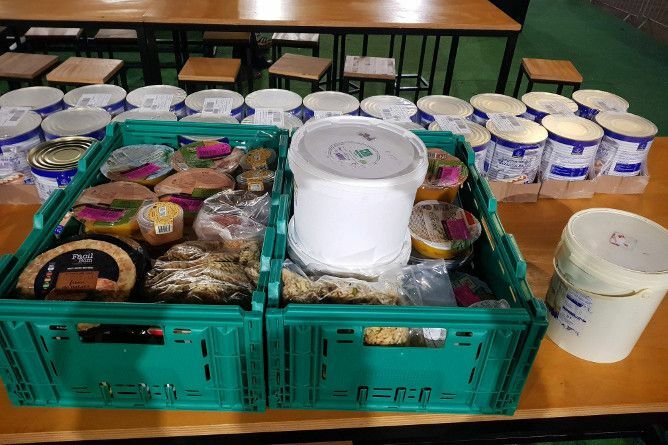 People are mostly needed in the warehouse, especially on Sunday nights when all food drop offs from supermarkets and restaurants are arriving. Anyone over the age of 16 can volunteer here. Signing up is fairly easy. You need to bring an ID, stop by at its warehouse, register and start helping. Also, you can signup through filling a form on its website or by phone. You can work from 8am – 8pm, depending on your availability. Your tasks will mostly consist of bundling packages to fit the specific requests of each organization that works with Banco Alimentar Contra a Fome. This association is in constant need of volunteers because of the location and poor accessibility. That’s why we recommend people join a group of friends that are willing to share the cost of driving a car to the warehouse of this NGO. Liga Portuguesa Contra o Cancro was built on two principles: humanization and solidarity. 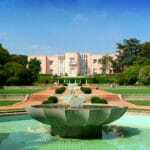 It was established in 1941 thanks to an initiative from Dr. Francisco Gentil, the same doctor who called for the first Portuguese cancer research institute in 1923. The mission of the institution today is to support cancer patients and their families. It is also involved in cancer research, cancer education and prevention. How can you contribute to Liga Portuguesa Contra o Cancro? You can help by doing something as simple as a phone call to Liga Portuguesa Contra o Cancro on 760 304 304, which costs 0.60€ plus VAT per call. Furthermore, you can make a donation here to one of the Liga’s nationwide nuclei or become a member by donating a minimum annual quota of 15€. All you have to do is provide your address here, then Liga Portuguesa Contra o Cancro will send you a sign up package via mail. 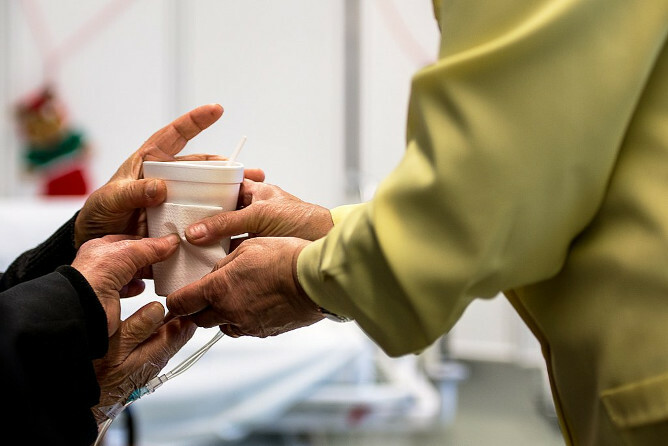 Everyday, there are dozens of patients who need blood transfusions. So an important thing you can do to help cancer patients is to make blood donations to the Portuguese Oncology Institute in Porto. How to volunteer at the Liga Portuguesa Contra o Cancro? Volunteering for Liga Portuguesa Contra o Cancro is a serious process. Over-18-years-old candidates have to attend an interview, then take a training program followed by a 4 months internship in the desired volunteering area. You are also required to dedicate a minimum of three straight hours / week to this NGO. If you’re a cancer survivor, you’re also encouraged to sign up and help others by sharing your testimonial. To become a volunteer call +351 225 084 000 or +351 913 783 848 or simply send an email to voluntariado.nrnorte@ligacontracancro.pt. 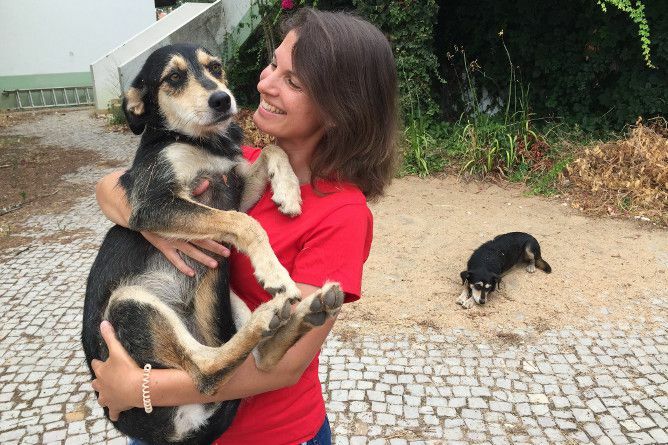 Animais de Rua helps thousands of stray animals by sterilizing them to avoid further breeding, treating them when they are sick and feeding them. The goal is to control stray and feral cats and dogs colonies through sterilization and health treatment. They also want to provide a home to as many animals as possible. Taking into account its method of action, Animais de Rua has no shelter and therefore only collects animals when FATs – Famílias de Acolhimento Temporário (Temporary Families who are willing to welcome the animals in their home until they find a suitable owner) are available. 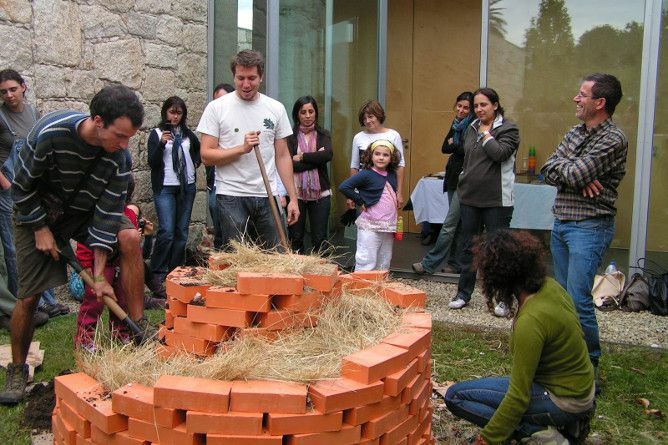 Its work is parallel and complementary to the work of other animal welfare associations in Portugal. How can you contribute to Animais de Rua? Call the solidary number 760 300 161 (you need a Portuguese number to do so). How to volunteer at Animais de Rua? Being a Temporary Host Family (FAT) of animals awaiting adoption. Founded in 1985, Quercus is a non-governmental organization dedicated to protecting the environment and conserving nature and natural resources. 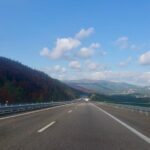 They have a multitude of projects focused on biodiversity, energy, water, waste, climate change, forests, sustainable eating and environmental responsibility. 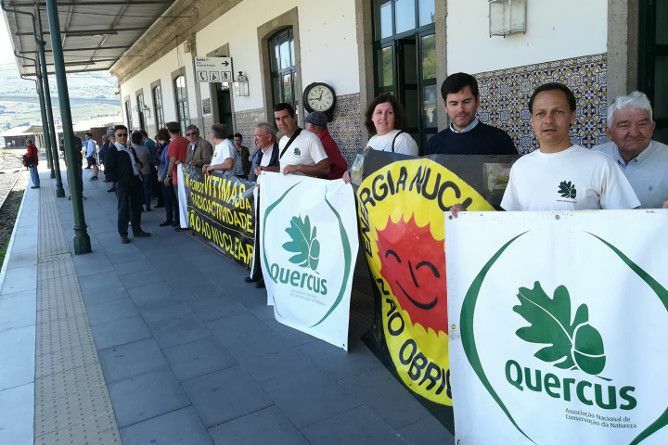 In Porto, Quercus organizes many workshops throughout the year focusing on teaching people how to be more environmentally-friendly. How can we help Quercus’s mission? You can make a donation, sign petitions or donate 0.5% of your personal tax return (IRS) to Quercus at no cost. Another way you can help is to sponsor an animal (5€ – 100€ depending on the size and level of endangerment). How to volunteer at Quercus? Become a volunteer at Quercus by signing up here. You are also encouraged to call and get in touch with the organization on Facebook to see what opportunities are available for volunteers. ILGA is the oldest association for the defense of the LGBTI rights in Portugal. The association was founded in 1995 and is recognized as a social solidarity institute. 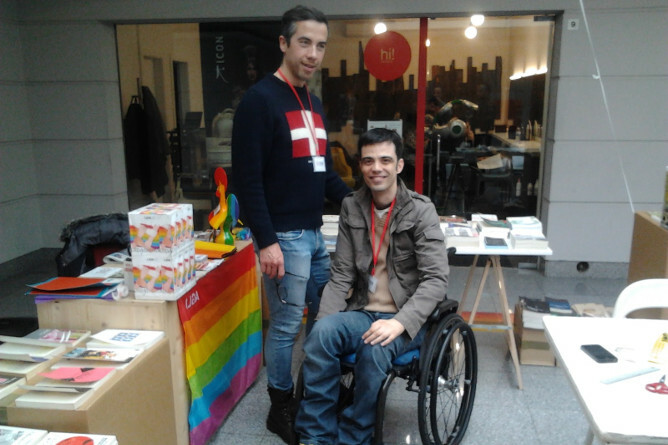 ILGA Portugal organizes and sponsors many events related to improving the lives of the LGBTI community. They also spread awareness in schools about the importance of acceptance, the dangers of homophobia, bullying and violence in relationships. ILGA assists anyone from the LGBTI community with legal and mental health services since many still experience discrimination. They also have a service called Linha LGBT which is an information and support system open from Friday to Saturday 8pm – 11pm. ILGA’s main location is in Lisbon and they don’t have a fixed location in Porto yet. But they are still reachable through email. How can you contribute to ILGA? aged 12-16. That’s why the LGBTI cause is important to contribute to since homophobic violence and bullying still exist in our societies today. You can help ILGA improve the life of the LGBTI community across Portugal by contributing with money via a bank transfer or through PayPal, see here. You can also become a member by filling out a form and paying a minimum of 18€ twice a year. When you sign up, a welcome kit will be sent out to you. How to volunteer at ILGA? ILGA runs a project called ADD (Diversity Alliance) where a group of students, teachers and supporters come together to make schools safe for everyone who is gay, heterosexual, lesbian, bisexual, trans or intersex. If you would like to get this program to your kids’ school send an email to add@ilga-portugal.pt.